David Jones is one of the oldest trading department stores in the world. 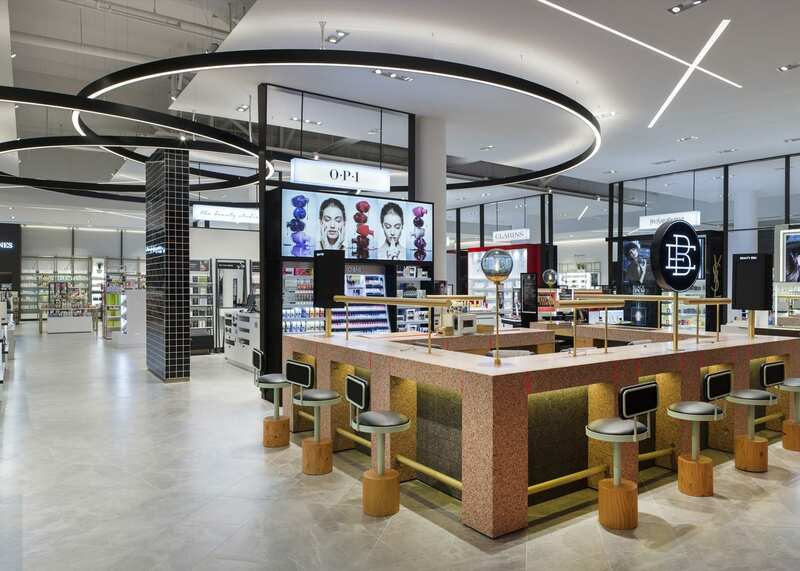 Within a complete redesign of the well known and loved Australian brand, LAPD revitalised the retail lighting design to the iconic retailer. Various premium brands and departments, each with their individual identities, needed maintain their DNA while harmonising under the David Jones identity. Above all, a tight focus on the customer journey through the store was key. 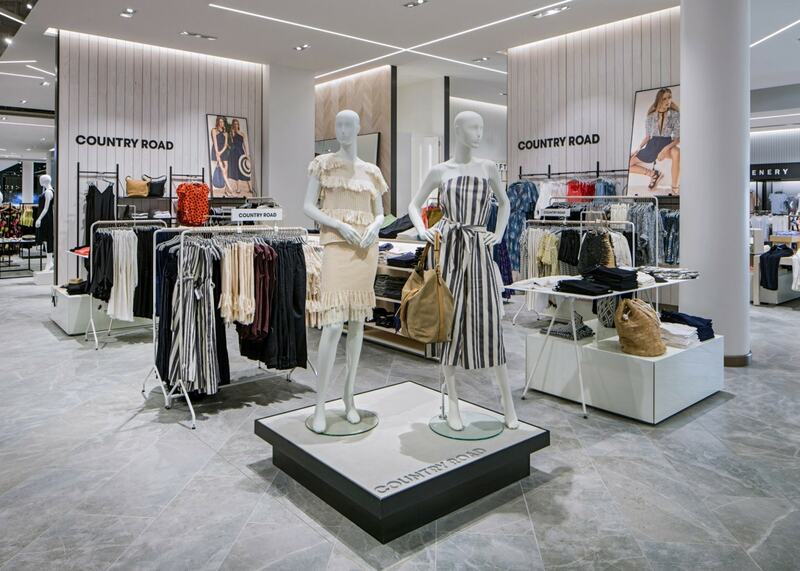 Firstly, a consistent high-level cove light defined the store’s boundary to aid customer orientation and navigation. This treatment also worked well for full height mid floor walls, which helped lift the ceiling to create the sense of a grander space. Ceiling rafts and matching floor pads that separated the brands gave definition to the large store space. 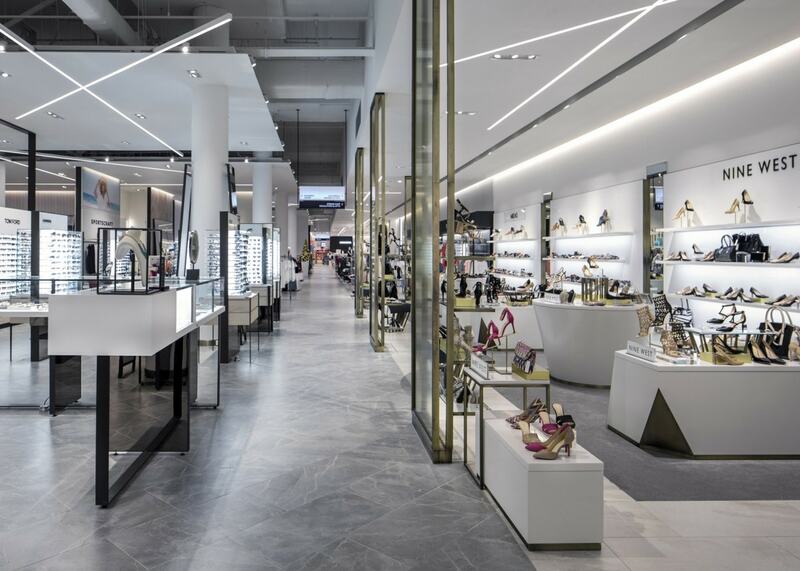 An integrated and consistent bespoke linear LED feature sailed through the store, consequently linking the departments. The interwoven arrangement and seemingly random orientation of various custom linear lengths provided a broad ambient lighting level. This allowed an array of twin and triple LED gimbals to provide the punchy accent lighting on to the merchandise with the use of narrow and medium beam reflectors. As a fashion-led retailer, their aspiration to maintain a modern and premium feeling for their store identity was important. For this reason, LAPD designed a clean ceiling line which minimised ceiling clutter to avoid detracting from the products. A consistent recessed lighting channel conceals articulated spotlights. This ensures good vertical illuminance, dedicated to the perimeter, without obscuring direct views. Walkways devoid of fixtures except for occasional linear features tie the departments together. Concealed accent fittings reside above the knife-edged ceiling rafts. The majority of the light fittings matched the ceiling colour to ensure they seamlessly blended into the background. A selection of twin gimbals and bespoke feature ring lights, finished in black, provide high contrast. This contrast showcases key areas and departments with a sophisticated aesthetic. 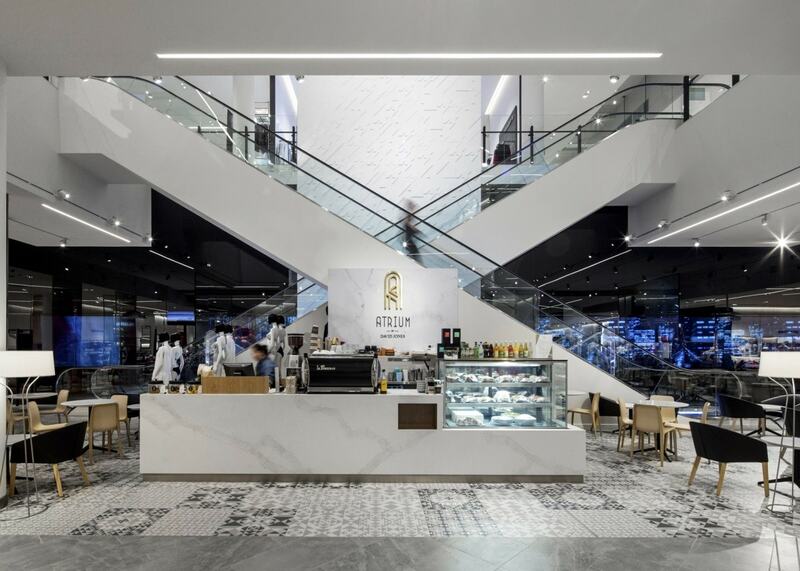 The overall concept was well received, winning the 2015 Retail Design Institute Awards – New or Completely Renovated Full-line Department Store. It was also shortlisted for the 2016 Euroshop – Retail Design Awards. 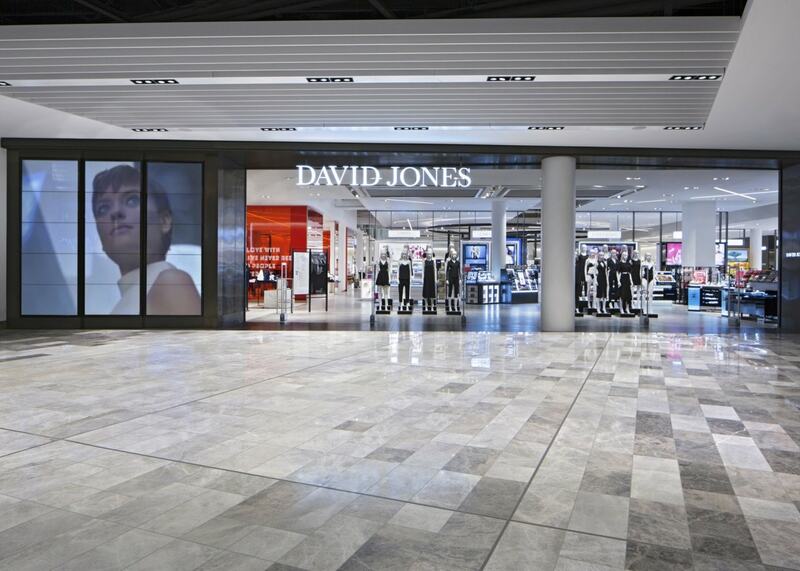 This has since been a benchmark for forthcoming David Jones stores and is essential to defining their current look.